Some degree of eye strain is believed to affect between 64 and 90% of people who use computers for work1, resulting in symptoms such as tiredness, discomfort, burning, dryness, itchiness and/or redness of the eyes. You probably can’t give up your computer, so read on to discover some simple, natural ways to support your eyes and help them cope. How much time do you spend at a screen? Between your computer, your smartphone, your tablet, your e-reader and your TV, how long have you spent looking at a screen today? Research suggests that computer-related eye problems become especially significant once you’re looking at a screen for 4-6 hours a day or more2,3, so if your computer usage is regularly in that vicinity or even higher, you may be interested in learning some ways to ease the strain on your eyes. Why are screens so tiring for your eyes? There are some specific reasons that your eyes get more tired when you focus on a computer monitor or hand-held device screen than they do during other activities. Blinking is your body’s way of lubricating your eyes with tears. When you focus on a computer screen for long periods, you tend to blink less frequently than you otherwise would, which in turn makes your eyes more prone to dryness. This issue is sometimes exacerbated by a computer monitor that’s positioned too high, forcing you to hold your eyes wide open while you work, which in turn increases your eyeballs’ exposure to the atmosphere and susceptibility to dryness. (In contrast, when you read something on paper, you tend to hold it below your normal line of vision, and your eyes are partially closed and therefore not as exposed to the air) . When you move about the world in your day-to-day life, your eyes are constantly adapting to the environment around you, shifting focus from objects that are far away to those that are close at hand. However, when you concentrate on a detailed object in the near distance for long periods (like a computer or smartphone screen), your eyes maintain a consistent focus, which can be tiring to the muscles involved. This issue is particularly important to be aware of if you tend to spend long periods of time using a smartphone or other mobile device, because we tend to hold them much closer to our eyes than we would other reading material, further increasing the need for those eye muscles to work hard. Similarly, if your computer work involves reading or scanning large blocks of text, or switching focus between different areas of a screen repeatedly, the repeated actions and focus at close range may contribute to eye fatigue. Two fundamental differences between reading on an electronic device and reading on paper are that most devices emit light, and many also have reflective surfaces that expose you to glare. In both cases, the net effect is that spending long periods of time staring at a screen adds to the workload for your eyes. Obviously, if your eyes are giving you trouble, it’s important that you see your optometrist for a check-up. As you'd expect, the longer you spend at your computer or using a hand-held device the more likely you are to experience computer-related eye problems, so do what you can to minimise your exposure – even if that means reducing screen-based leisure activities if your job means you can’t avoid it at work. Reduce the strain on your eyes while sitting at your computer by stopping every 20 minutes for 20 seconds and using that time to focus on something at least 20 feet (approximately 6 metres) away from you. Make sure to remind yourself to consciously blink while you do, so that you’re flushing your eyes with tears. In addition, get up from your desk every hour or two and do something else for at least 10 to 15 minutes. Both of these break patterns give you and your eyes a rest because they change your eyes' focus and allow for more movement and blinking than you will regularly do while sitting still at your desk. The way that your equipment is set up can have an impact on how hard your eyes have to work. As well as being beloved by gardeners the world over, chrysanthemum flowers have a long history of use in Chinese medicine (TCM), where they're taken to support healthy vision and relieve redness, dryness and discomfort of the eyes. 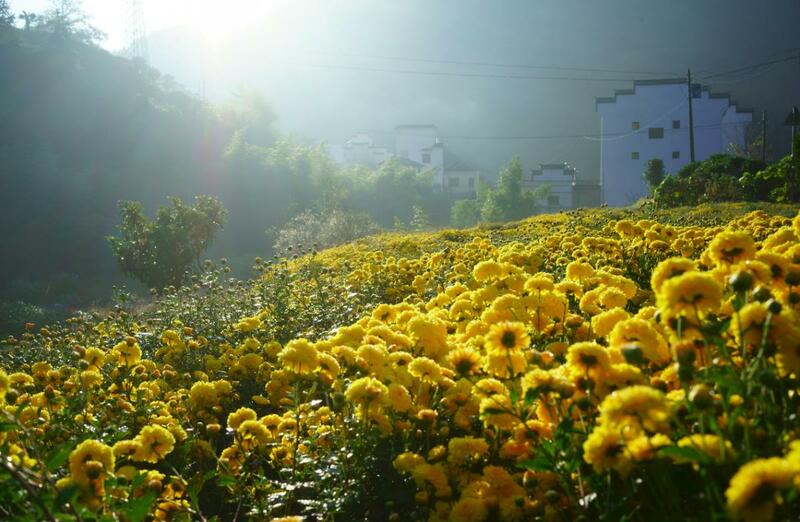 In TCM, these types of eye symptoms are often attributed to an excess of Wind-Heat in the Liver organ-meridian system, and chrysanthemum is traditionally believed to relieve them by having cooling effects, the ability to disperse Wind-Heat, and the ability to influence the Liver. In TCM, chrysanthemum flowers are often teamed with goji berries, which are also traditionally used to support healthy eyes and vision. 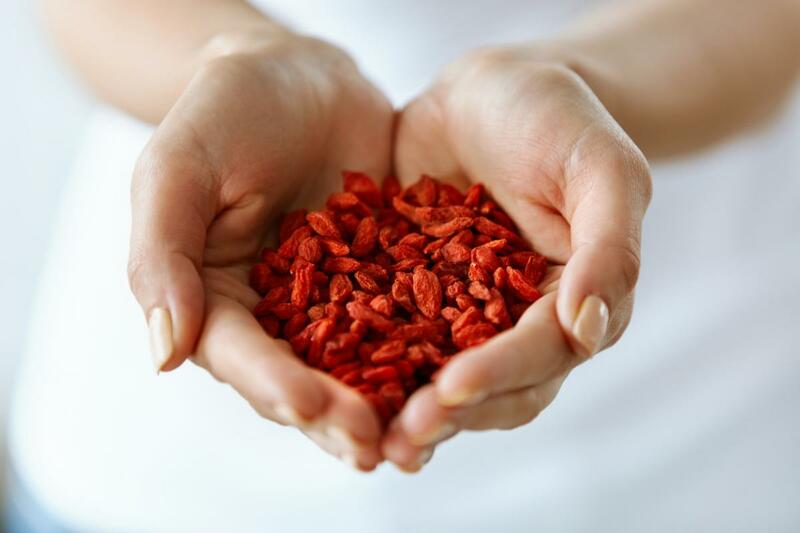 Goji berries have been used medicinally for around 1700 years in TCM, and are traditionally seen as supporting eyesight and eye health by nourishing the Yin energy of the Liver and Kidney, as well as strengthening the Kidney Jing (a form of life force energy that declines with age). Keen to try chrysanthemum flowers and goji berries for yourself? 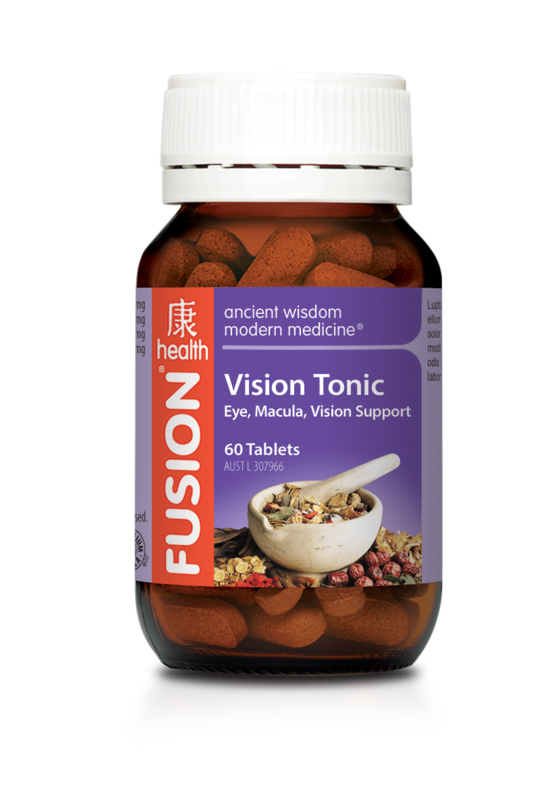 Find them in Fusion Vision Tonic, which also contains the antioxidant nutrients vitamin C, zinc, lutein and zeaxanthin.